Pour cold water into a 5 gallon food-safe bucket. Add salt and sugar, and stir to dissolve. Add all the remaining ingredients to the water and stir to incorporate. Add the turkey to the brine, making sure the interior cavity fills with liquid. If the turkey floats, set a heavy plate on top to submerge it. This brine is enough for a 20 lb turkey. If your turkey is under 13 lbs, you can cut this recipe in half and use a 2.5 gallon stock pot. The turkey and brine will need to be refrigerated, so make sure it fits in the fridge! If you’re lucky to live in a cold climate and the temp is around freezing like it is in Minnesota around Thanksgiving, you can store your turkey on the back porch with the lid on the bucket. Alternately, you can set the bucket in an ice chest and surround it with ice to keep the turkey cold. Brine a 20 lb turkey for at least 36 hours, so start early! A 15 lb turkey can go for 24 hours. Once brined, drain the bird and pat dry. If you have the time the bird benefits from resting uncovered in the fridge to allow the brine to equalize and the skin to dry further. But no one is really going to care if you just roast it. Roast the turkey as you normally would. Brined turkey skin can brown more quickly, so cover lightly with foil if this happens. 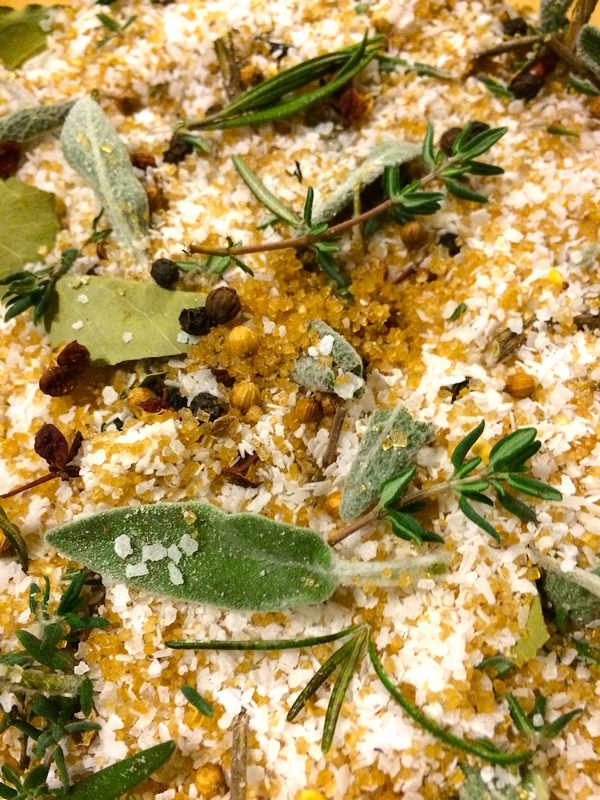 Related Blog Post: Brine that Turkey!